You are here: Australian Herbicide Resistance Initiative › News › 27% achieved it. Can you? 27% achieved it. Can you? Cricketer Glen McGrath was a specialist bowler, but he couldn’t bat to save himself. NFL punter Steve O’Neil was a specialist kicker. He once punted the ball a record 98 yards, but could he throw? It turns out that seed cleaners are specialists at cleaning seed. Go figure! 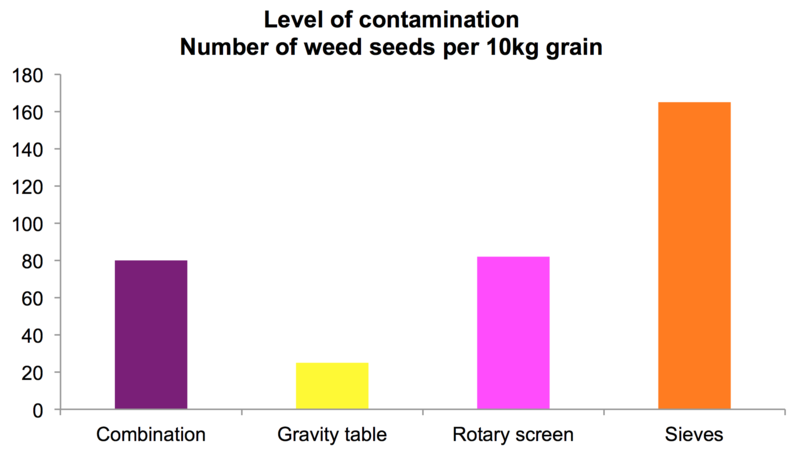 Research by Pippa Michael (now Curtin) and AHRI researcher Mechelle Owen from 2008 showed that 73% of cleaned crop seed samples had some level of weed seed contamination. The most common weed species found were ryegrass, wild radish, brome grass and wild oat. The kicker? Many of these populations were also herbicide resistant! The double-kicker? (Is that a thing?) Resistance evolution has increased since 2008. Which means the risk of seeding resistant weed seed is much bigger today. 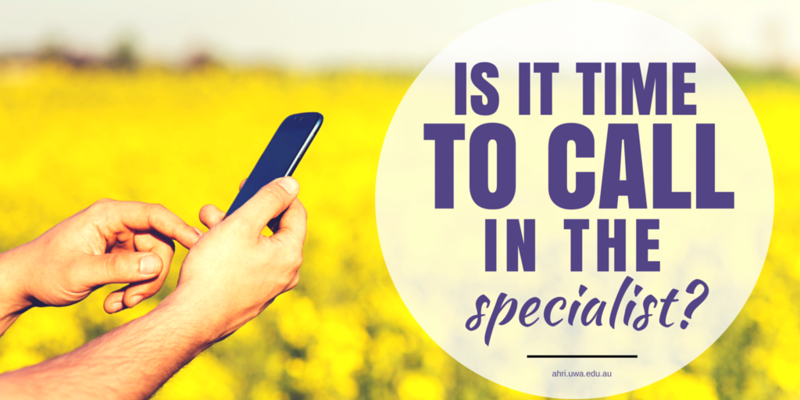 So how did 27% of retained crop seed samples achieve completely clean status? The short answer: gravity tables and contractors. We know that resistance evolves faster from introducing resistant weed seeds into a paddock, compared to resistance evolving independently in that paddock. For example, before herbicides were used, resistant weed individuals were very rare. Unfortunately, they are now quite common in the wheatbelt AND we can make it worse if we seed crop seed contaminated with resistant weeds. 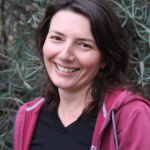 Research by Pippa Michael (now Curtin) and AHRI’s Mechelle Owen shows growers tend to severely underestimate weed seed contamination in retained crop seed. Pippa and Mechelle collected 154 crop seed samples from 74 farms across the WA wheatbelt prior to crop seeding (May 2007 and 2008). They also surveyed each grower to determine individual grain cleaning management practices and perception of the level of weed seed contamination. So if 73% of samples were dirty, how did the remaining 27% of samples achieve completely clean status? Gravity table is best. 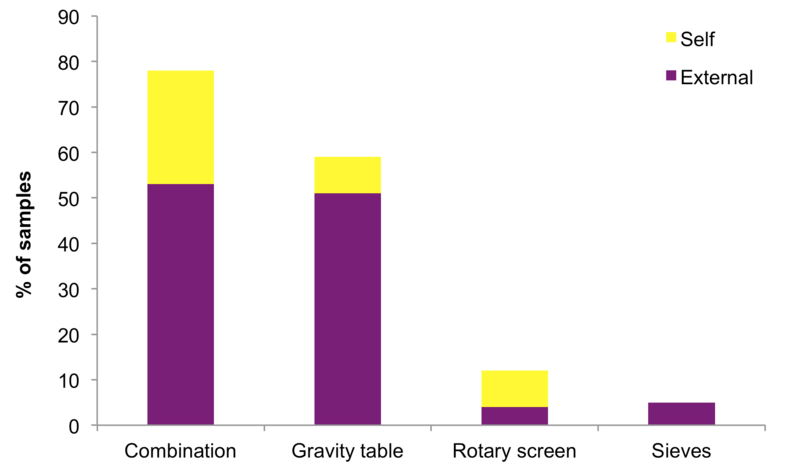 They found that the cleaning method used strongly influenced contamination levels, with a gravity table being (by far) the most effective method. Contractors are better than farmers. It stands to reason that contractors who make their living out of cleaning seed are pretty good at it and generally have good equipment. The seed of the most common weed species infesting crop seed were ryegrass (45%), wild radish (30%), brome grass (29%), and wild oat (24%). These 4 weeds also had the highest contamination levels with 28, 14, 9, and 4 seeds per 10 kg grain respectively. The remaining 5 species were found in fewer than 5% of samples. Alarmingly, many of these weed seeds infesting crop seeds were resistant to a range of commonly used post-emergent herbicides. Most of the ryegrass populations were resistant to Oust, Hoegrass, Sertin and Select. All ryegrass seedlings were susceptible to glyphosate. Most wild radish populations were resistant to Glean. Most growers chose to have their crop seed cleaned by contractors (71%). The study found that weed seed contamination in samples cleaned by professional contractors was roughly half that of seed cleaned by the grain grower. The good news is that the best cleaning method, the gravity table, is very common, and the worst method, sieves, are least common. 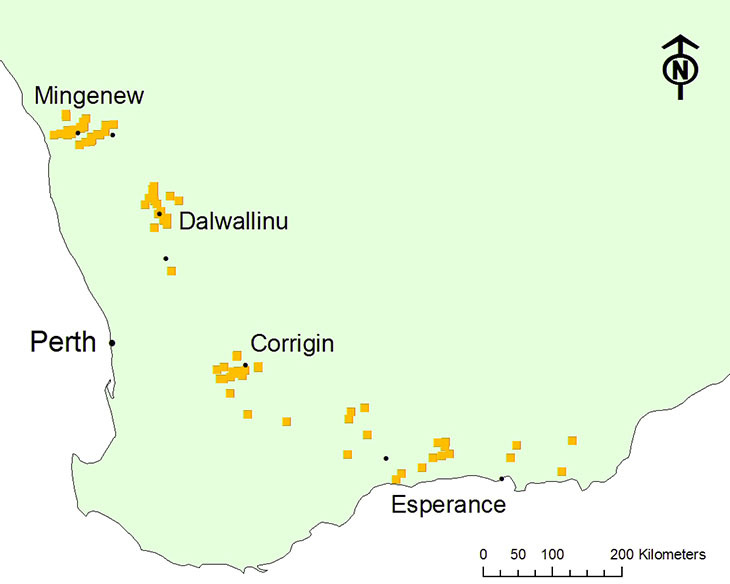 Crop type also had a significant effect on the amount of contamination, with wheat containing much higher annual ryegrass seed numbers than barley. This is possibly because barley is more likely to out-compete weeds during the growing season. Mechelle is currently conducting the second clean seed survey (we’ll keep you posted) and we’d expect the risk of seeding resistant weeds (particularly glyphosate resistant) is big given the increase in herbicide resistance evolution. [Tweet “In simple terms, clean seed is important – we want to seed a crop, not resistant weeds”] The best way to clean seed, it seems, is by using a contractor with a gravity table. P.S. Did you know we’re on Twitter? Come and say hi!